There are lots of new additions to the NPB collection this season: The Tie Strap Top + Frock, The A-Line Skirt, The V-Neck Top and The Shorts as well as some new (vintage) prints for you to mix and match. New stock now ready for the Artists’ Open House weekend, May 11/12, come by and have a look or get in touch for a custom made piece! 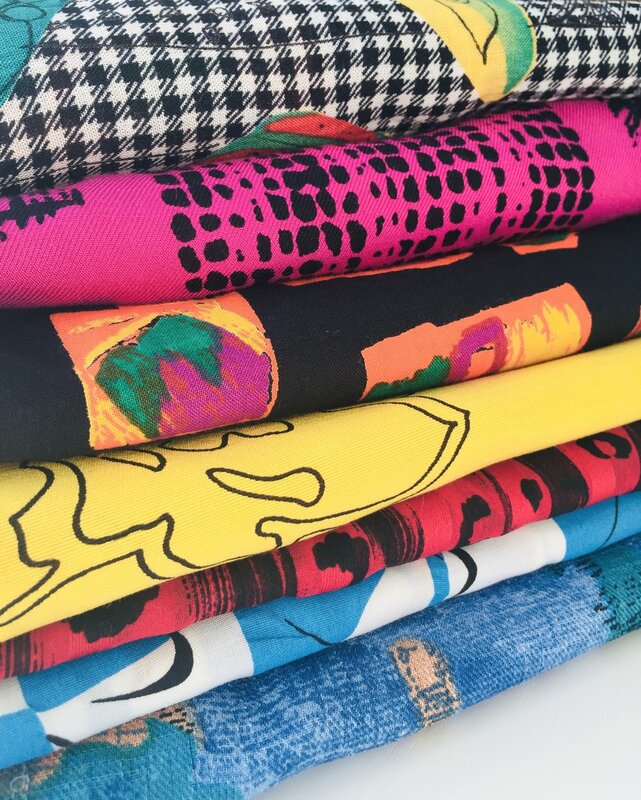 Choose a garment, choose a fabric and your NPB item will be made just for you! I’ve always loved vintage, not only for it’s uniqueness but for it’s longevity and quality. I love that my customers feel special in their NPB as well as confident that they won’t see everyone else wearing these beautiful prints! I’m always happy to post out swatches so you can feel the fabrics before placing an order- or pop along to the studio to have a look! What’s the rush? There’s been a lot of talk recently about the true cost of ‘fast’ fashion. The churn ‘em out cheap and chuck ‘em away approach to buying clothes is damaging the planet and it’s time we all took a deep breath and slowed down. So, what is ‘slow’ fashion? Slow fashion is the antidote; it’s choosing quality over quantity. It’s about not getting sucked into the constant pressure to buy the ever changing latest trends. It’s about transparency, giving consideration to where our clothes come from and asking ‘who made my clothes’ (as urged by fashionrevolution.org) and it’s about caring for them to make them last season after season. 'Slow' garments are well made, timeless and environmentally conscious. Slow fashion can’t compete with the cheap prices of fast fashion but it can on individuality and quality.